Isaac Angel: "We're encouraged by the opportunities and pipeline for the product segments from regions such as New Zealand, Central and South America and Asia Pacific that will diversify our plan based for the product technology. 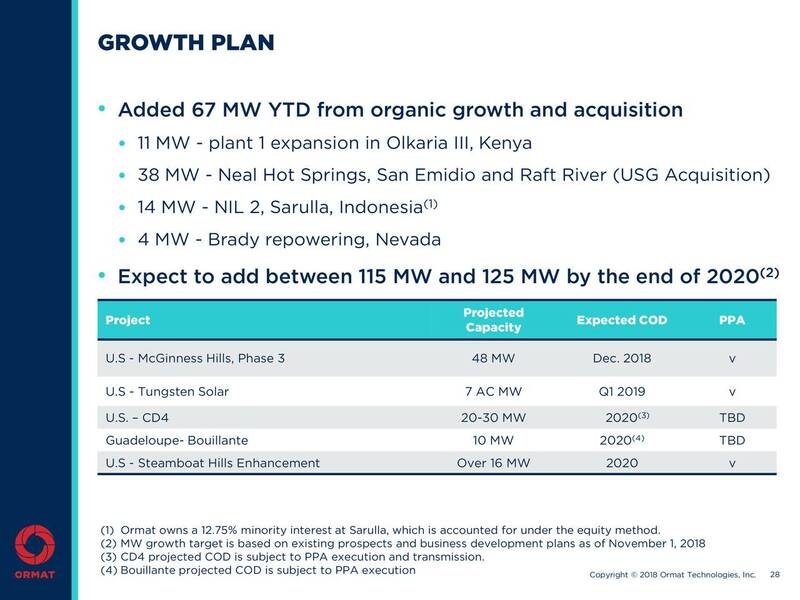 Turning to Slide 28 (see above), we're continuing with our growth and pleased with the growth we achieved on the beginning of the year bringing our total portfolio to 862 megawatt and we're on track with our near term growth target and plan between 115 and 125 megawatt by the end of 2020." "During the past month, we made significant efforts to expedite the commencement of the 48 megawatt McGinness Hills III power plant now planned for early December 2018. We're also planning to enhance the upper Steamboat complex in Nevada which will include Steamboat Hills and Galena 2 power plant. 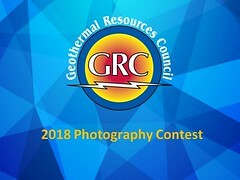 At Steamboat Hills we expect to add over 16 megawatt to the existing power plant before the end of 2020, by adding new equipment and optimizing the Geothermal field. The additional capacity from Steamboat Hills will also be sold to SCAPPA under the existing portfolio PPA."